Nature and other characteristics of the area have always played a key role in the evolution of humanity and the living species that inhabit it, from ancient times to present day. Knowing Val d’Agri’s geological and natural heritage, allows one to get in close contact with the complex landscape system, a living entity, to preserve and enhance. 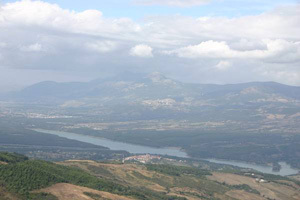 The Nature section intends to give visitors a “taste” of the geological, naturalistic, and flora-faunal potentials of the Upper Val d’Agri area, providing assistance to those who want to venture into nature, observe the animals that inhabit it, or plan an excursion in search of irreplaceable excitement. Be careful though: the landscape is a delicate ecosystem, that suffers from our negligence. Therefore, it should be treated with care, as a generous friend that needs respect, passion and common sense.